The success of antibody therapeutics with certain diseases has led the industry to focus on further research and development of therapies to fight an even wider range of serious illnesses ranging from cancer to Alzheimer's disease. RheoSense, Inc. with its VROC® technology, provides researchers powerful data into the behavior of new antibody solutions and their reactions with the human body. 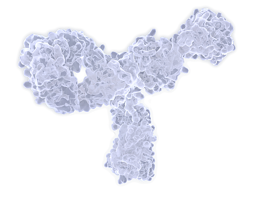 VROC® systems deliver accurate and reliable viscosity data that is essential in understanding the behavior of the antibody solutions. Accurate, repeatable viscosity measurements help researchers and scientists understand the effect of antibody with concentration, which is necessary to determine the best delivery mechanism of the compound. With VROC®'s high resolution and accuracy, it is possible to measure the viscosity of antibody therapeutic candidates during the early stage development for both intravenous and subcutaneous injections, which require high protein concentrations (sometimes in excess of 100 mg/mL). The high protein concentrations dramatically increase the sample viscosity, making viscosity analysis with VROC® essential. The availability of different measurement cells, thermal jackets and syringes allow the measurements to be performed over a very wide range of viscosities and shear rates, making the instrument very versatile. 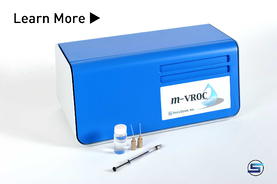 Powered by VROC® technology, microVISC™ and m-VROC™ are both small sample viscometers capable of improving your viscosity measurements for protein delivery.